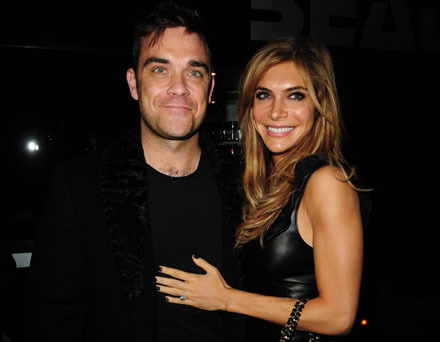 Robbie Williams has announced that his wife, Ayda Field, is pregnant with their first baby! Robbie Williams, 38, and Ayda, 32, married in August 2010 after dating for four years. They married in a secret ceremony at their home in LA, not telling their guests the true reason for their get-together until they arrived. Only the Hello magazine was allowed to cover their wedding ceremony.